In what may seem hard to believe, two £1 Million raffle tickets are yet to cashed in by their ticket holders. This means that there are two EuroMillions raffle players out there unaware that they are millionaires. To an avid lottery player, this can be shocking, as other than being glued to their television station during the EuroMillions draws; they know the winning numbers by heart! Both the tickets were bought in Nottingham and Doncaster, England last month. The ticket holders have until September to claim their prize. 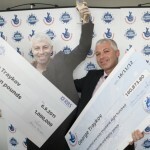 If by then, nobody comes forward to claim the winnings the £ 2 Million will go the National lottery Good Cause Fund. The fund has raised £27 Billion since its inception in 1994. The raffle is an extension of the EuroMillions lottery. 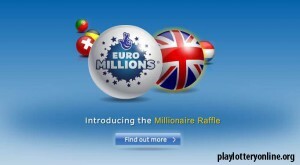 Players in the EuroMillions raffle win by matching the raffle number at the bottom of the ticket. 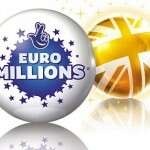 Each EuroMillions raffle ticket is worth a whopping one million Euros. The winning raffle number on the unclaimed tickets was LHZ360128 and FGL789613. The game comes with a guarantee of making a UK Lottery player a winner every Tuesday and Friday. 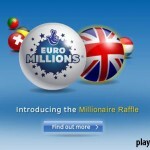 Players can play the Euro Millions lottery online £11.4 Million jackpot here.